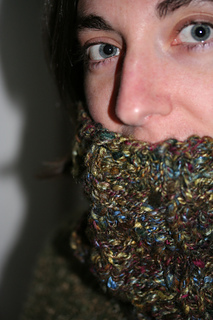 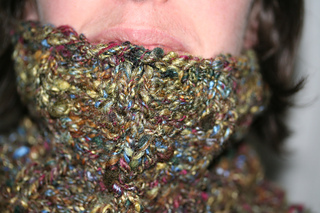 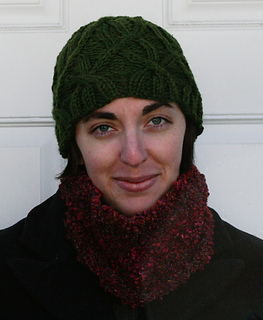 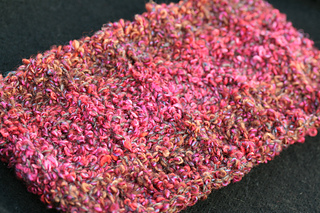 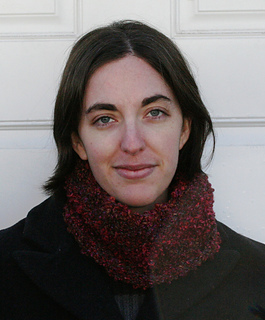 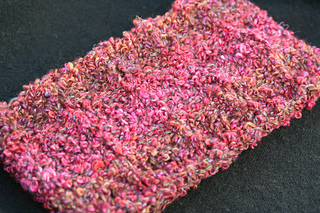 This cozy cowl works up really quickly in super bulky yarn at 3 stitches per inch. 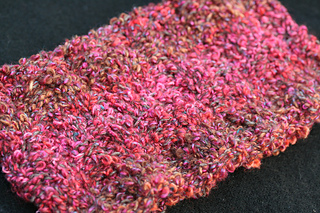 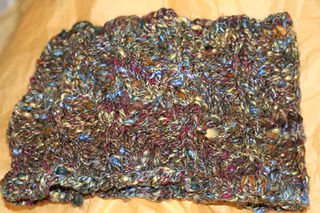 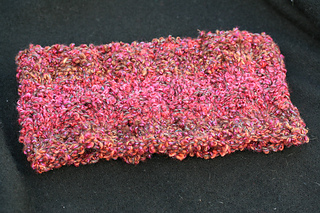 It’s knit in the round and is fully reversible for a different look on either side (in a non-bouclé yarn). 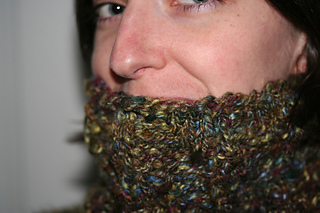 Trust me that you will love how it looks in a plainer yarn as well as in Noro Silk Mountain, or wait until I knit one up after the holidays (or someone else knits one up here on Ravelry)! 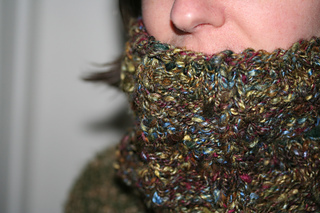 The size of this cowl can be easily modified by adding or subtracting a multiple of 6 stitches. 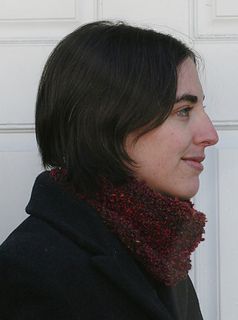 Instructions are both charted and written out, in British and metric units.